Today anyone can make authentic Indian recipes in their own home. Don't let the ingredients overwhelm you. Indian spices are easy to find in your local grocery store or online. You probably have most of the spices you need in your pantry right now. 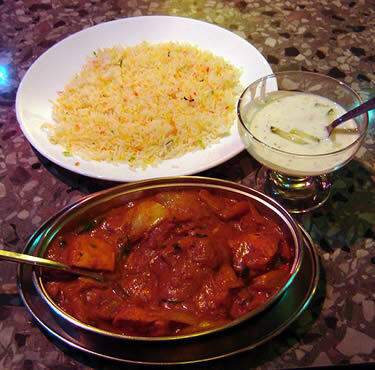 When I started cooking Indian recipes I would prepare one dish with rice for a meal. It took me a long time before I made an entire Indian meal from appetizers to dessert from scratch, but it was so worth the effort! Start with our easy Indian chicken recipe, Uncle Mike's Chicken Curry or try our favorite Indian green bean recipe from Madhur Jaffrey, Green Beans in Onion Paste.